It’s “Elvis Week” at Graceland in Memphis, TN. 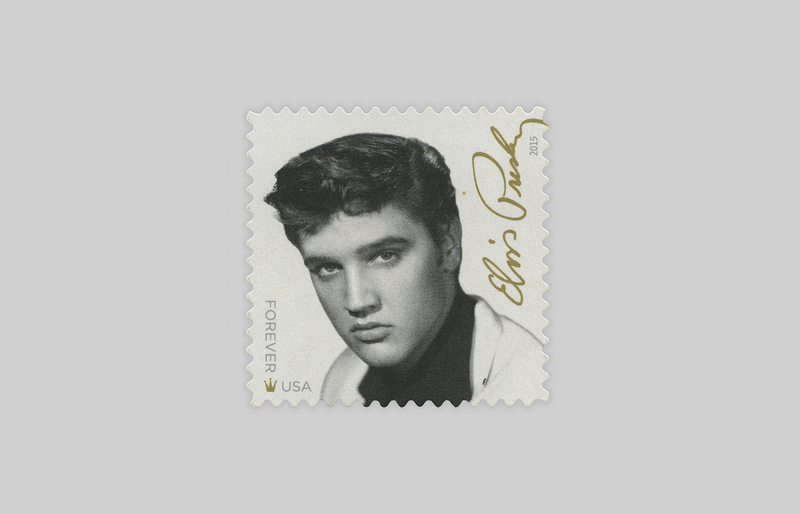 What better way to celebrate than the release of a new Elvis stamp? 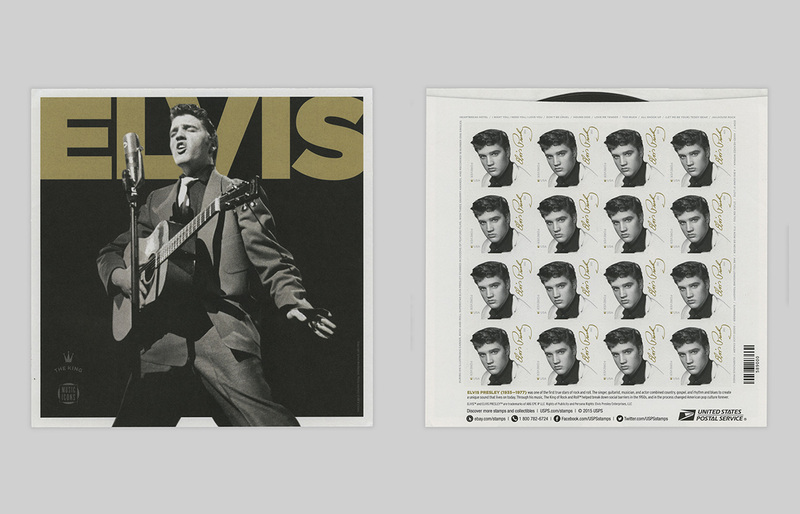 This beauty, designed at Studio A by Leslie Badani with art direction by Antonio Alcalá, was unveiled yesterday by Priscilla Presley at Graceland. Special thanks to Richard Friend, Leah Alcalá, and all the other Elvis fans around the world.